Many nurses work as specialist practitioners within several areas of gastrointestinal medicine, including inflammatory bowel disease, stoma care, nutrition, endoscopy and counselling. There has been a steady increase in nurse-led services and gastrointestinal nursing is an expanding area. This comprehensive text lays the foundation by reviewing the anatomy and physiology underlying common conditions before covering the pathophysiology of clinical features, causes, investigation and management. Underlying this approach will be the specific nursing aspects of caring for patients with gastrointestinal conditions, covering psychosocial factors and issues such as the measurement of health related quality of life. Graeme Smith is the author of Gastrointestinal Nursing, published by Wiley. 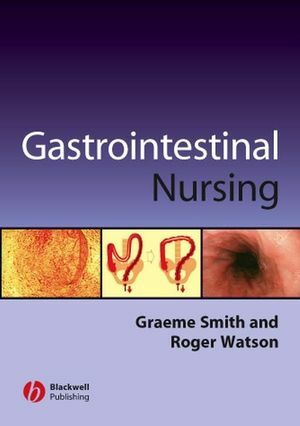 Roger Watson is the author of Gastrointestinal Nursing, published by Wiley.